I’m always on the look out for fun new games whether they are for my computer or my mobile device, so when I ran across Let’s Go Rocket I was quick to check it out. This free iOS game is very simple. You are given a rocket and you have to navigate it through a series of obstacles. You can vary the speed of your rocket by either touching it to speed up or letting go of it to slow it down. Sounds simple, right? However, there are a lot of additional details that make this game quite complicated. 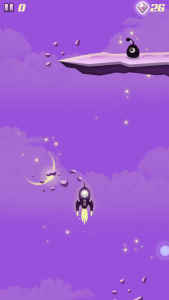 First, you have to ensure that your rocket moves fast enough that it doesn’t drift off of the bottom of your screen. If it does, you lose. Moreover, you can’t move side to side at all, so avoiding obstacles is not as easy as it might first seem. And, there are a lot of different types of obstacles that will keep you on your toes. Along the way, you also encounter gems to gather and aliens to pick up along the way. To add to the fun, you can choose which rocket you would like to use when you first start the game and there are options to buy or unlock other rockets as you go along. Though Let’s Go Rocket is fairly simple, I have found it very enjoyable and almost frustratingly difficult. Even when I know exactly what my objective is, the app manages to make achieving it difficult with the sensitivity of the controls and the limited range of motion for the rocket. The app indicates your best result on the screen as a sort of “finish line” that you can cross, which is a nice way to keep track of your progress and motivate yourself to keep pushing further. 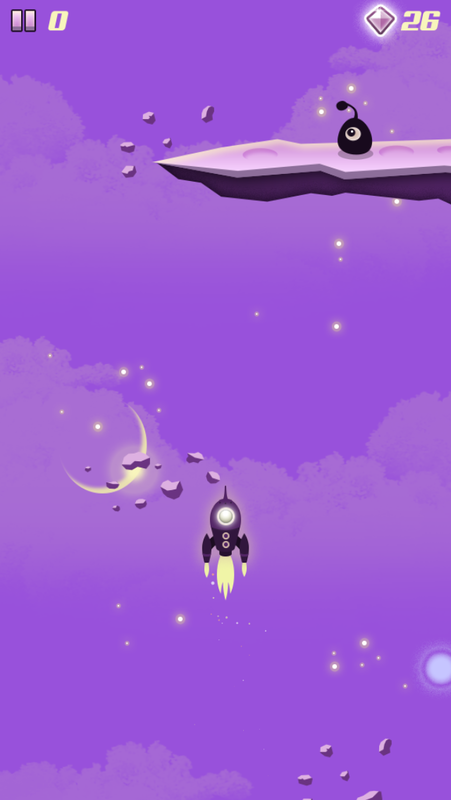 The artwork in the app is very cute featuring not only an array of rockets, but also adorable aliens and great backgrounds that make the game very engaging. 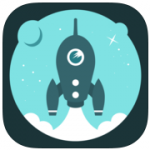 Let’s Go Rocket is a good combination of simple controls, fun artwork and difficult gameplay elements. This makes it a nice option for both those who like casual games and those who want a bit more difficulty in their games. Though the app does include additional features that can be purchased, it can be played without these add-ons, meaning that it is a nice free option to recommend to teens at your library. « Teen Design Lab Day Two — Maps, notebooks, and hack your library!